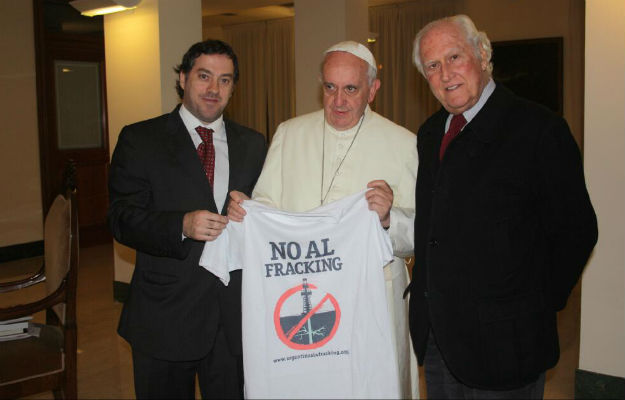 Pope Francis has expressed in several occasions its support to environmental fights. The Chief of the Catholic Church just published an encyclical warning about the risks of wasteful societies and calling for Zero Waste. Two years ago, Pope Francis posted a video on youtube praising waste pickers for their task. At that time, he said that “we live in a wasteful culture in which, we not only waste stuff, but also people”. Alternatives to this culture of waste preserve the environment, create jobs and dignify human lives. More than an isolated case, truth is that, in two years and a half as a Pope, Francis has met waste pickers of India, Ecuador, Argentina, Brazil, the Philippines, and has certainly addressed environmental issues in his speeches in the past. Early this year, visiting the Philippines he recalled the devastating effects of climate change and how environmental destruction is a source of global suffering. In his speech of January in Manila, Pope Francis warned about the negative implications of wasteful societies and stressed the need to care for the environment. Today, the Vatican just published Laudato Si, an encyclical in which the Pope goes through major global environmental problems, calls for strong action on climate change, advocates for phasing out toxics and embraces zero waste. According to the encyclical, “the Earth, our home, seems to turn more and more into a huge garbage dump”, which “is intimately linked to the culture of waste, affecting so much the human beings left behind when the things turn quickly into trash”. The Pope argue that natural ecosystems manage to create closed loops of nutrients and energy, while human beings “have not yet succeeded in adopting a circular pattern of production which ensures resources for all and for the future generations”. He calls, therefore, for limiting the use of non-renewable sources of energy, moderate consumption patterns and increase reuse and recycling. The encyclical also pays particular attention to the role of toxics and their risk for human health and to the environment, and to climate change. In both cases, the Pope highlights how most vulnerable communities people tend to be affected the most by environmental problems, being, hence, not only an environmental problem but also a social justice one. Zero Waste Europe welcomes the encyclical of Pope Francis and is pleased to see that there is a growing consensus on the need to transform our wasteful societies into zero waste ones. As Paul Connett once said, “God recycles, the devil burns”. Full text of Laudato Si here.